I was reading a Facebook group board and one of the members brought up an interesting question. The member was a regular in the board, and she was very involved in buying supplies, gear, and learning skills. Her parents invited her to go to Europe to celebrate their anniversary. They would cover the hotel and food, and she only had to come up with airfare. She was inclined to turn down the invitation even though she could afford it, as she had misgivings about spending money on travel. She already decided she did not want to go, but posed the question on whether she should reconsider. The responses were 50-50. I personally would recommend going. She did say she could afford it; and an opportunity to travel with your parents to celebrate an important anniversary could be a once in a lifetime event, even though it may cost some dollars that could have been spent on supplies. The question made me think about whether prepping can take over your life and start to become an obsession. 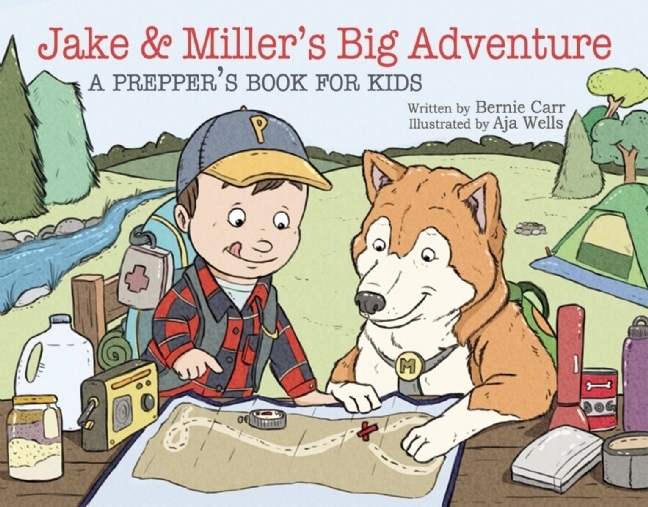 As a blogger who recommends being prepared for life’s emergencies, large or small, it may sound a little strange that I am writing about how prepping can become too much. The truth is, your mind starts to reel when you start delving into disaster scenarios. Reading about catastrophic events can cause anxiety. Pretty soon, you may start making this your main focus to the exclusion of everything else. I believe we should all be prepared for disaster, but there should be some moderation. At what point should you scale back and start living a balanced life? I myself have realized I missed a few events because I was too busy saving money for emergencies. There is always an opportunity cost when you decide to allocate funds to one thing or another. Sure, there are family members you don’t really care to spend time with, and that is your choice. But if you are missing big events such as your favorite niece’s wedding or your godson’s college graduation because you were out buying beans, bullets and band-aids it could be a sign you are spending all your time and money prepping and not enough on living your life. I don’t recommend going into credit card debt in order to buy supplies. Instead it’s better to allocate whatever you can afford, even if it’s $5 a week and start small. In a few months, you will get to a better position. There are people who do go into a lot of debt to buy firearms, ammo, freeze dried food and all the other stuff they feel they need. Prepping is like insurance, you hope you never need it, but it’s good to have in case something happens. Nothing may happen. But if you go into debt, you may still be in debt months or years from now. Not everyone in your family or circle or friends will be on board with prepping. That this their choice, and it’s also your choice on what you can do in spite of that. Everything is a compromise, and you could still do a few things to feel secure and continue having peace in your relationships. At what point do you have too much? If you are unable to identify what you have and where you keep them, your supplies will not do you any good. Or if you apartment or house is so full of stuff you may need later but you can’t find anything, you may have crossed the line to hoarding. There is a fine line between collecting supplies and hoarding. It’s time to de-clutter and identify what you have. If you are storing large amounts of gasoline in your garage that could overheat or ignite at any minute, you are putting yourself and your neighbors in danger. 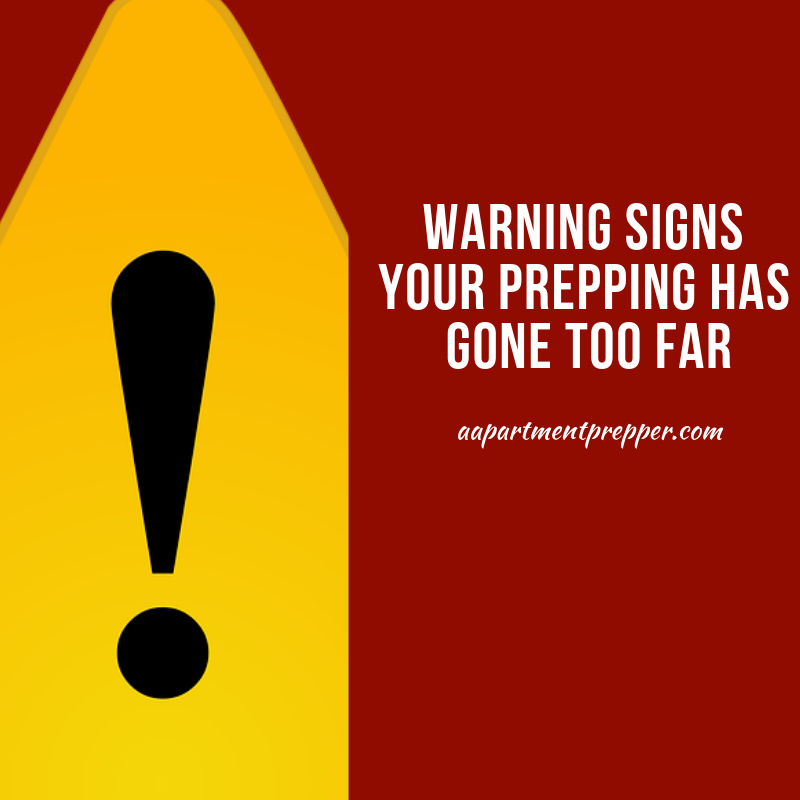 It is not worth getting kicked out of your apartment or risk setting your house on fire so you can prep. Instead, choose safer ways that do not violate your lease or endanger yourself. If you previously spent Sunday mornings going to church but have started skipping services because you don’t have time or you think it’s too dangerous because you don’t want to be in crowd, you may need to reassess. Your spiritual well-being is important and should not fall by the wayside. Doing anything excessively to the exclusion of other priorities can only lead to problems. Another pitfall is prepper burnout, which may cause you to become discouraged and feel like giving up altogether. 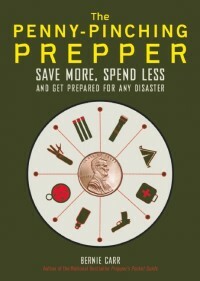 I am in no way telling anyone to give up prepping – I still believe in the value of preparedness. But I have also found that priorities can change and some things can and should take precedence. Prepping can quickly take over your life and you may find yourself living for some unknown future, but missing out on living in the present moment. Only you can decide what’s important to you, and sometimes it’s a good idea to take a step back and reconsider why we prep to begin with.